Relaxation & Meditation was recorded after years of leading groups in relaxation and meditation techniques. 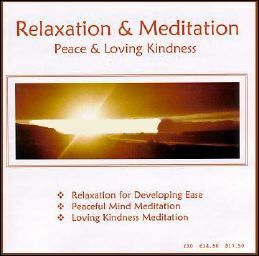 Requested by Sue’s many students it is a practical aid in the development of ease and peace in daily life. It is recommended that the first track, Relaxation for Developing Ease, is listened to several times before moving onto the more formal meditations of the other two tracks. 1. Relaxation for Developing Ease – a full body and mind relaxation to manage stress, aid healthy sleep, and boost the immune system. 29 minutes. This entry was posted on 30/03/2014 by Admin.